← Congratulations to the 2018 IGA Nominees! If he doesn’t already, Phil Walker Harding should bring his new designs over to Patrick’s place for playtesting. I’m sure that you can get from any point in Australia to another in under 2 hours. This month has featured a bunch of play-testing on a trick-taking game I’ve designed. It feels close now and I’m really happy with it. It’s certainly feels publishable, and I’ll probably start bandying it around after blind-playtesting is done. It came to me as I was lying in bed after a crazy closer of Canyon one gaming night, and it still has me wonder how (or even if) it hasn’t been thought of previously. Funny how that happens. Roll dice to move out along the queue of VP chips, with the option to pick up a VP chip after each move. Each chip reduces your movement by 1 ongoing though, making it harder to move, as well as reducing the time left to get back to the start, making it a double whammy. How far do you push, because if you don’t get back in time, you get nothing, making it a truly unforgiving push-your-luck scenario. It’s also a game of groupthink. If everyone goes out without picking up chips until near the end, everyone should score well, but if a few pick up chips right from the start, those going deep might never get back in time. The lavish doses of dice luck combined with the player screwage doesn’t overly lend itself to me, especially as it asks you to play the same game three times in a row, but it does provide some good fun if you really don’t care. Take the Luna board placement competition as a base, add Glory To Rome use-four-ways cards, convert dice into actions, use cards to increase round-income, and use actions on other cards for personal advantage. In short, a collection of good Euro mechanisms. You use these to generate goods, and generate as many deliveries as you can for income improvements or to fulfil card contracts for points. There’s not much turn angst because the game provides many ways to generate resources and deliveries. This game centres on mastery – know what cards to play for actions, which to extend your farm or income, which for contracts; have good familiarity with the income provisions and all the compensating mechanics so as to maximise your points given the cards you draw. Which is fine and I enjoyed the challenge. The card effects in themselves earn the game replay as each game will seemingly offer different approaches to take, but it feels like all roads are going to lead to Rome – increase income and maximise deliveries to earn points, which feels just a tad too one-dimensional (despite the many roads) to garner a higher rating. This does 2X space salad excellently. You explore, you exploit. There’s only 16 turns in the game so there’s no time for anything else anyway. Yet it’s surprising how much you can get done when you add the free moves and the paying for bonus actions. There’s so many things I like packed into this game – secret objectives, a tech tree to work on and take advantage of, exploration races, round events, clever resource manipulation and management, different strategic approaches with a ton of options on how to earn points. I’m glad they’ve tossed out space battles – I’m over every space game trying to make these balance-able and work-able. What it leaves us with is an enjoyable reach into space that feels thematically rewarding. I really liked it. A surprisingly enjoyable worker placement romp out of such a little packet. That’s the power of cards. There are 8 possible actions and they cost various amounts of chips – get more chips, pay for a building plan, construct a building, etc – plus a draft of building plan cards with various powers and points. The more powerful the power, the fewer points. It’s a race to get plans and build them, with all your usual worker placement travails of getting to the spots you want first as often as you can, with the usual decisions on whether to invest in chips, to invest in powers, and just when do you go straight up for points. There’s luck in the power combos that people get, and luck in what plans come up when you’re first player and when you’re not. But in a 20 minute game, with otherwise interesting things abounding, that’s perfectly fine and it hits the mark nicely. A partnership blind-movement deduction Euro; an unusual mix. I was leery after the rules, but the further the game went, the more impressed I became. The spies use dice to move around the board, guess correctly where the villains are (to get more dice each turn) and get to VP spaces (enough times for the win). The villains are trying to get to generator spaces (to get more dice) and guess where the spies are (enough times for the win). It’s a 4×4 map with some internal walls, and this seemed perfectly sized to maintain a nice sense of outguess tension each turn – the villains are trying to guess where the spies ended up last turn knowing they need to get to the VP spaces as much as possible, and the spies are trying to duck into VP spaces and then get somewhere either the villains can’t get to or might be unlikely to guess. The dice constrain options nicely, but can be modified at a cost. Variable walls provide different maps each game, and there’s a bunch of different skill sets available to generate variety. Unfortunately it’s only going to shine at 2 vs 2 (otherwise players are playing multiple characters), but the game played in a nice timeframe and provided something enjoyably different, which is always attractive. This game poses the same question 12 times. Which card to take? You want to match the card’s scoring ability to the dice you’ve rolled at the start of the round. But the card will also change dice values – sometimes how you want, other times not. Plus you want the card to match the investor tiles you’re collecting for end-of-game scoring, and you want to take a card lying underneath an investor tile matching the cards you’re collecting in order to claim it at end-of-round. It’s a 4-d puzzle each turn. Getting all 4 of what you want is rare, so each turn you’re deciding which elements to sacrifice and which to concentrate on – points now vs potential points later. The game is highly susceptible to analysis paralysis but is acceptably good with decently fast play. It may be light on theme – it’s a set collecting VP hunt when you get down to it – but at least the card-take decision is interesting each turn. It’s a three pronged race each round, to claim new characters, costumes (to fill your characters), and stage-sets (to fill your board) before the others take what you want. In an interesting approach, you bid for turn order using actions – the fewer you plan to take this turn, the earlier in turn order you go. This can be important if there’s a specific character/costume/stage-set you want/need, or it may be less important depending on what other people want/need first, in which case ramp up on the actions. It requires considerable effort and a concerted approach to earn VPs, which makes for a tight game. There’s tension in what’s being claimed without it being overbearing – there’s nearly always stuff you can do. There are also a few approaches to try so there’s replay enough for a while. Don’t expect any real link to Shakespeare though – it’s simply (a) solid Euro. Draw from deck/draft; play to your tableau or discard. The game is once through the smallish deck, and you get points by picking up cards from the draft that other people don’t want, and at the end of the game for each card other players have played in sets in which you have the majority. There are only 6 sets. My one game was won by the player who luckily drew, or was able to pick up, cards in just two sets, meaning no turns were wasted. Players are eventually forced to place cards they don’t want to play (because they’ll cost pts at the end) into the open draft, usually for straight pickup by the next player along who’s aiming to win that set. So there’s no small amount of luck in what gets drawn and what others make available for pickup. All in all, it just feels too tightly constrained and luckbound for me. At least the timeframe is short. You spend the day phase of each round moving your 3 meeples around the array of action cards to places that allow you to kill goblins, complete quests, and learn spells – these are the three ways to earn points (or you can shoot for bonus powers). The night phase is a communal dice rolling affair – if the green face is rolled enough, you kill goblins; the mushroom face will advance your spell learning, etc. Hope that what you’re shooting for gets rolled quickly enough to allow you to finish the round before too much damage gets rolled on you (the red face). Which is all ok if you’re happy with a gambling-on-the-dice type affair, as that’s all you’re getting here. The game suffers from itsy bitsy fiddly components – the seemingly standard irritation provided by the Tiny Epic series – and this lack of epic componentry hurts its replay value. It might otherwise be a game I’d be happier to have some fun with. 43 plays: Ahhh, a dungeon crawl bash-em-up that plays in an hour and has meaningful and agonising choices for both players each turn. We pulled this out again during the recent school holidays and got through most of the scenarios once more (my set includes the De Profundis expansion which adds a bunch). There’s minimal text driven ability manipulators, so movement and combat are uberfast to execute. The first hard decision each turn is with the human player who must roll 1 dice for each of his warriors (4 or so dependent on the scenario) and allocate a result to each warrior. In a cunning process, each warrior has 6 sets of [movement, # of attack dice, defence value], usually offsetting each other, and the die result you allocate to the warrior dictates what set of values it has this turn. Each time a warrior takes a hit, one of those sets disappears from use. Hit all 6 and they’re dead, baby, dead. On the demon side the hard decision is again dice based, where the 3 dice you roll can get used in any of a dozen ways – gain Threat Points to bring on bad guys, get event cards, etc. It’s hard because you want everything now. Combat is simply roll however many attack dice you’re allowed and hit each time you’re >= the target’s defence value. This makes turns quick once the hard decisions have been made. Scenarios seem to be generally based around explore / escape or explore / kill the boss, each with a twist, where success for either player seems to continually hang by a thread. It features fast paced turns, the right level of chrome to mix things up without slowing things down, easy rules, and lovely components. There’s lots to like if you’re looking for a thematic fun ride without having to kill a whole night. Mark Jackson: While I don’t disagree about the fiddliness of the little pieces, I think that the Tiny Epic games (esp. Galaxies, Quest & the new version of Defenders) pack a decent punch for their box size. We’re actually taking TEQ on vacation with us, as it fits nicely in the suitcase. Claustrophobia is what Space Hulk should have been – fast-moving, more interesting decisions, no irritating overwatch & “when do we actually see it?” rules, pre-painted minis, well-developed scenarios, and a commitment from the designer not to muck up the system by trying to make it multi-player. On those occasional times when I have a moment of regret about selling my 1st edition Space Hulk for an obscene amount of money to nice man in Norway, I just get out Claustrophobia and it goes away in the bliss of playing a darn near perfect 2 player battle/dungeon crawl. 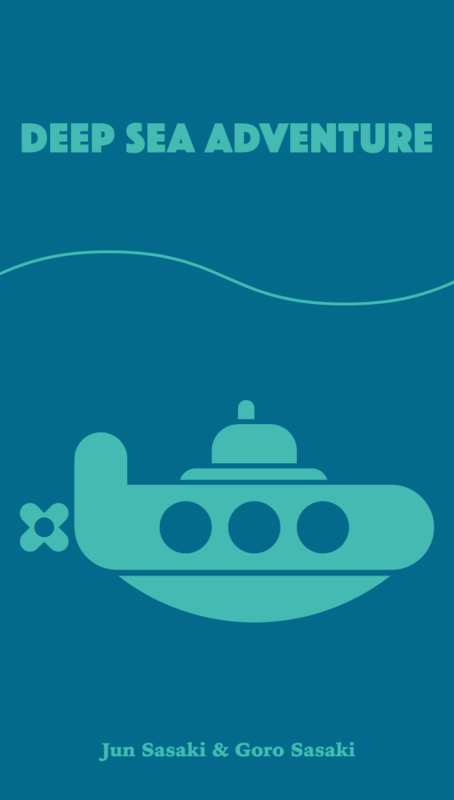 Deep Sea Adventure: Definitely an extreme push your luck game, many people don’t realise how easy it to run out of air. 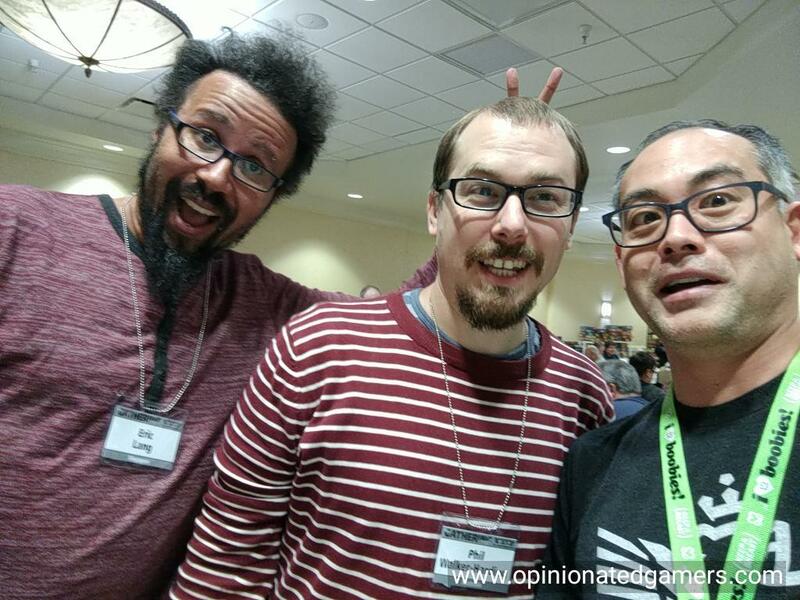 I don’t play it a lot, mostly at cons, but it is fun when I do. Deep Sea Adventure – Everything Patrick says about this game is true. But it achieves what it strives to do very well and is just a hoot to play. It’s probably been a couple of years since I’ve played this and I’ll have no problem if a couple of more go by, but it’s a game I’ll never refuse to play if asked. La Granja – Very good, almost great game. A lot to think about and plenty of ways to put your plans in motion. It’s not quite good enough to seek out (at least, not with new games to try out almost weekly), but it’s a title I always enjoy when I do play it. 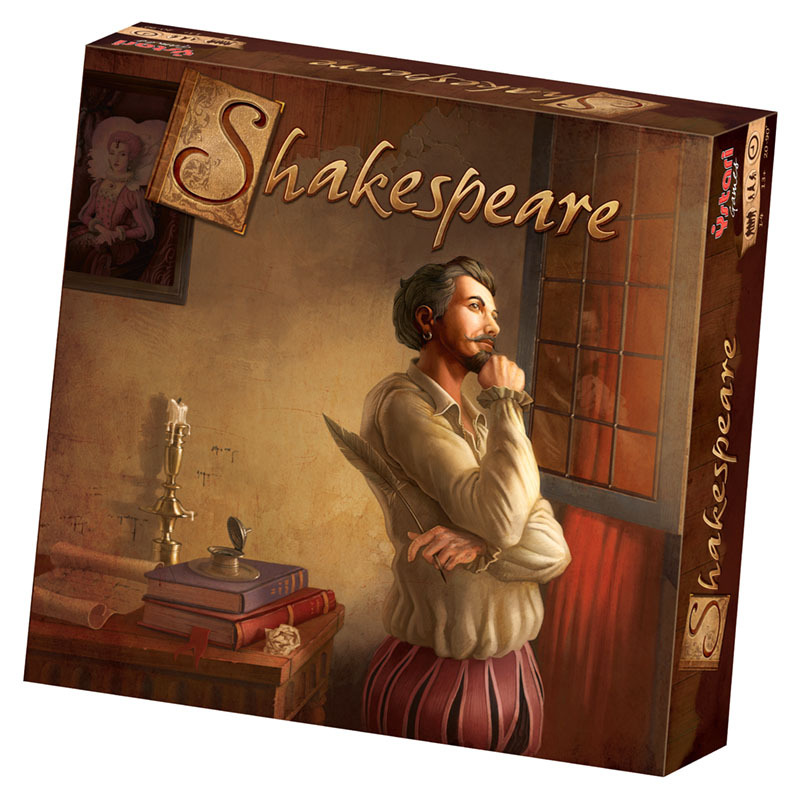 Shakespeare – I played it once and, while there wasn’t anything particularly wrong with it, it didn’t grab me in the least. Basically, I found I didn’t care about anything that happened. Just too Euro-ey a Euro, even for this Eurogamer. I picked up Oracle of Delphi when it came out and it has been hit with both my family and my game group. Once you realise that it is a race game at its heart the appeal of the game increases. Deep Sea Adventure – I agree completely with Patrick over this tiny filler. I rarely win a push your luck style game as I just have to take one more treasure, or maybe swim a little deeper… It’s random, fast fun! After reading Patrick’s comments, I had to see what I had thought of the game on boardgamegeek.com when I played it some 3 years ago. And to my surprise I had also commented on the Luna and Glory to Rome elements which Patrick mentioned. It’s a game that has never hit the gaming table since then, which I think is a shame. Deep Sea Adventure: I hated this game the first time I played it, but it has grown on me considerably. It’s fast enough that the random element doesn’t bother me, and it’s just fun, even though there isn’t much skill. It’s especially fun playing with our friend Scott’s copy; he has pimped it out with actual divers and metal coins! 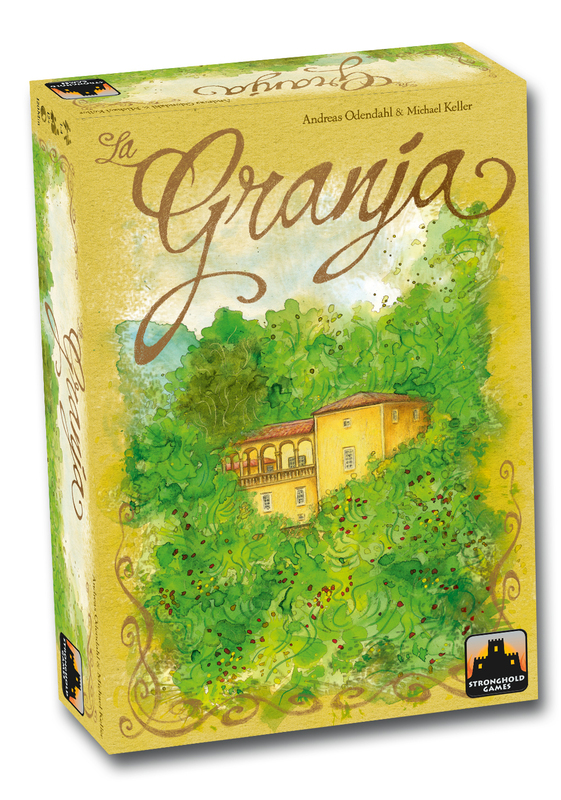 La Granja: I really enjoy this game; like Patrick says you are maximizing deliveries to get points, but there are many ways to manipulate things to get what you want, and the variety of cards would make it hard for someone to rely on a particular combo. It works very well as a two-player, too. Claustrophobia: I love this game. It is a perfect two-player dungeon crawler that has most of the things I love about dungeon crawlers without most of the things that I don’t. It doesn’t take forever to setup or play, and the scenarios seem balanced. La Granja. This is an excellent game which hits the table fairly regularly in my groups. The breadth of options offered by the cards as they are placed in different locations on your player board means that the game never seems the same as you play game to game. There is lots of interaction, timing of when to carry out those actions and decisions to take that are always meaningful. This is one of the best games I’ve played from that year. I note that another game coming out from Spielworxx features a similar option of placing cards in variety of places around your player board and this interest me. Claustrophobia. This game hit the table a couple of times when it first came out and out since. It’s not that it’s about a game, it’s more to do the volume of games and those that might be interested in playing this type of game. This deserves another outing amidst the million other games that come out. Tiny Epic Quest. I thought this is one of the better “epic“ games in the series though not of course epic! Once again I think the game is clever but not exciting. The addition of the elements that can be pinned to your meeple is innovative if not very practical. But the game is worth playing from time to time if you need to take a different direction in your epic games. Shakespeare. Another game that came out quickly, got played a few times and then not since. I didn’t find anything riveting in the game that caused me to want to play again though I would play if someone put the game in front of me. I didn’t like the tightness of the scores when the scores are such a low number of points (or least they were in my games). This seemed a single or a couple of actions could propel you from 3rd to 1st or vice versa and I didn’t enjoy this aspect of the game. Tiny box, easy to carry. As Fraser says, it’s not one we would get out at home, but it does well at conventions as a filler while the next table finishes. I’m not sure that I have ever actually scored. There was a lot of hype about this in local game groups, but it left us cold when we tried it. It’s in the “should probably play again” pile, but there are so very many games there. Dale – of the games listed here, the one I play the most is Mint Works. I do love small format games, and this one is an award winner in the Mint Tin game design competition from a few years back. Sure, it’s not an overly complex worker placement game, but it is a great introduction to the genre for newbies, and it is satisfying enough to bring along for gamers and it fits in my pocket. The addition of a decent solo game makes this one a sure keeper in my collection. I know Australia is in a different time zone, but is it really already September down there? As to the games mentioned, I really like Shakespeare. I especially like the tightness of points – it feels like you really have to work hard for your points, as opposed to point salad style games. And I love the turn order bidding mechanism.